The main purpose of wearing smartwatch is to keep a tab on your heart rate, which helps measure all day activities such as calories burned, floors climbed, sleep stages, and helps you reach the goal. There are many smartwatches available on the market, but very few are having awesome features and the ability to track all the activities precisely. The feature fitness enthusiasts are looking for is the water resistance. Most of the smartwatches are not waterproof and to track the swimming, you need the best waterproof smartwatch. What features do I need to have in my smartwatch to track all day activities? What are the different types of smartwatches? Just like all above-mentioned Garmin smartwatches, the Garmin Fenix 3 HR is an outstanding watch that has been doing really well. 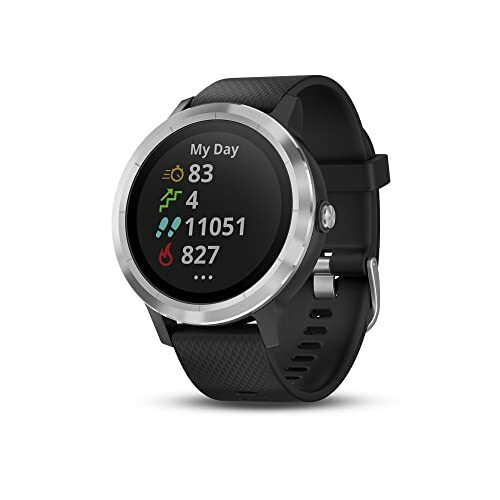 It tracks the heart rate throughout the day and also keeps a tab on other activities like steps taken, distance covered, active minutes, floors climbed, calories burned, and intensity. The Fenix 3 HR is waterproof and swim-proof up to 100 meters, so all the fitness enthusiasts who just love swimming and want to record the activity will get the most out of it. This watch also shows health stats, activity stats, news feed, calendar, leaderboard, segments, course, LiveTrack, etc. Moreover, it features VO2, recovery advisor, and outdoor navigation. You can customize your watch with a variety of faces, widgets, data fields, activities using connect IQ. It has a two-week battery life in smartwatch mode, 40 hours on battery saver mode, and 16 hours in GPS mode. The Garmin Fenix 5 Plus has all the features a fitness enthusiast wants to lead a fit and healthy life. And that’s the reason it has received a tag of Amazon’s Choice. People love to choice Fenix 5 to use all the features it has in store. It keeps a tab on all your activities such as floors climbed, calories burned, steps, and distance. Fenix 5 also features multi-sport tracking such as running. It shows running dynamics, recovery advisor, etc. The Garmin Fenix 5 Plus is waterproof and swim-proof up to 100 meters. So, you can go swimming and keep it tracked by the smartwatch. The watch also provides information about the swimming like length, pace, distance, stroke count, and what stroke you take. It also displays swim related workout and swim metrics. It has a TOPO map feature that helps you find the best and appropriate routes and trails. It also features a built-in navigation sensor that helps you track more challenging environments than GPS. 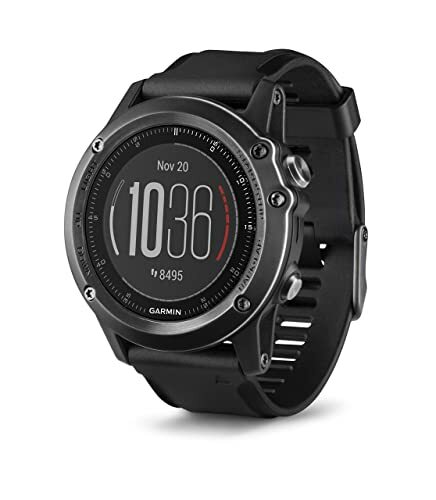 The Fenix 5 has a feature called Garmin pay contactless payment solution. It allows you to pay for the purchases using your watch. The battery life of the Garmin Fenix 5 Plus is 10 days in smartwatch mode and on GPS mode, it lasts 8 hours. Fitbit Ionic Smartwatch is one of the best heart rate trackers that have a lot in store. It measures the continuous heart rate and also keeps a tab on all day activities like running, floors climbed, calories burned, and more. The Ionic is water resistance up to 50 meters, which means it keeps tracking your swimming activity along with other activities. You can also wear it in the shower and at the time of swimming without worrying about any malfunction as it designed for all the fitness fanatics who want to record the swimming. It also tracks the sleep stages such as the time you spent on REM, deep, and light sleep. It improves the quality of sleep and also wakes you with a silent alarm. The Fitbit watch also features guided breathing sessions that help you keep the body calm. It is beneficial for reducing stress and anxiety. Reminder to move mode is also a feature of Fitbit Ionic Smartwatch and function of this mode is to keep reminding you to take 250 steps every hour. This function helps you reach your goal. The best part of this function is that you can also switch it off when you are busy. Unlike all other smartwatches, Fitbit Ionic has a built-in GPS that tracks distance, pace, and routes. Moreover, it has a battery life of 5 days. The Fitbit Versa Smartwatch has received a tag of Amazon’s choice product and this is the first thing every buyer will notice. The accuracy, performance, and quality of this watch are something none can deny. In fact, its features make it one of the best fitness trackers. It is capable of tracking all day activities such as workouts, calories burned, etc. It keeps a tab on your heart rate 24 x 7 all thanks to the PurePulse technology. Versa provides an on-screen coaching, which it assists you when you are working out as if a trainer is guiding you. It tracks the swimming as it is waterproof and swim-proof up to 50 meters. So, you can enjoy swimming while the watch keeps counting the swimming. Moreover, Versa also tracks the sleep stages by keeping a tab on how much time you spent on light, deep, and REM sleep and how long you stay awake. It will surely improve the quality of sleep. Versa allows the user to store and download +300 songs, so all the people, who want to play songs while working out or listen to the songs when they are free, stay entertained. 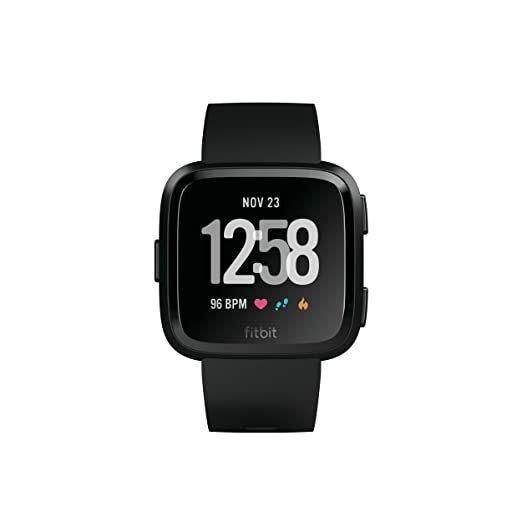 The battery life of Fitbit Versa is 4 days, which means you can use the waterproof smartwatch for 4 days with a single charge. The Garmin Vivoactive 3 Smartwatch has all the features that make it stand out. It is the best waterproof smartwatch for sure. It earned a tag of the Amazons choice product and all thanks to the features, performance, and accuracy. Vivoactive 3 keeps tracking all the activities such as run, jog, calories burned, and floors climbed. Apart from that, it is also capable of tracking golf. It is a lightweight watch with a durable design so you can wear it all day without any mark on your wrist. The durability makes it tough that keeps it working for longer. It tracks the sleep stages (REM, light, deep) to help improve the quality of sleep. The Garmin Vivoactive 3 Smartwatch is waterproof and swim-proof. It tracks your swimming activity accurately. It also shows stroke count, distance, pace, length, and what stroke style you choose such as butterfly, backstroke, freestyle, and breaststroke. This watch has a connect IQ store that allows you to personalize the device. It also permits you to pay bills using your watch. Moreover, it measures the amount of oxygen your body burns during workout all thanks to the VO2 feature. The battery life of the Garmin Vivoactive 3 Smartwatch 7 days, but on GPS, it lasts in 13 hours. Most of the people got confused while selecting a smartwatch as they don’t know what features they need to use in the future and what’s not. 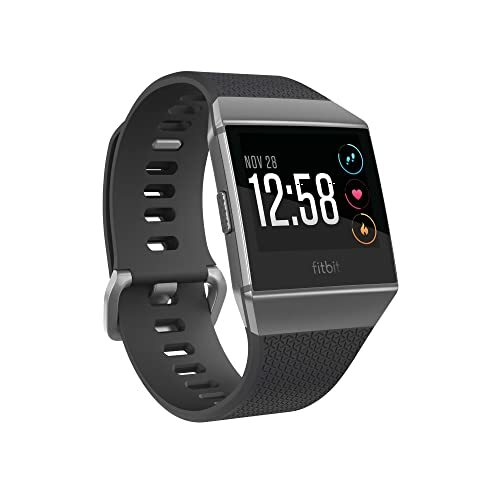 If you want to track all day activities like steps, distance, active minutes, floors, climbed, calories burned, sleep tracking, and continuous heart rate, then Fitbit watches are good like Fitbit Charge 2, Fitbit Charge 3, Fitbit Versa, Fitbit Alta HR, etc. These watches have a connected GPS. These fitness trackers offer many other features such as a reminder to move mode, on-screen coaching, guided breathing sessions, and many more. If you want to track the swimming activity, then you need a waterproof as well as swim-proof watch. 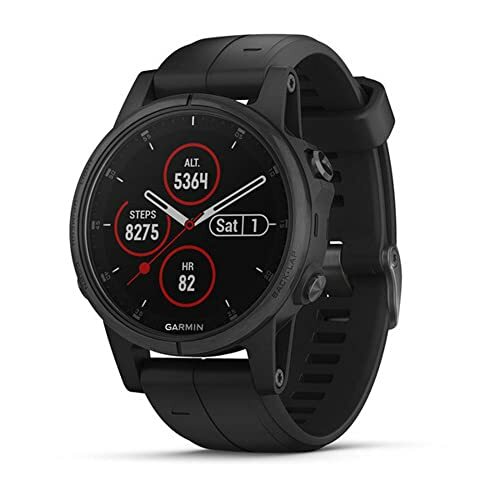 And if you want your watch to have built-in GPS for advanced tracking, then you can go for Garmin Fenix 3, Garmin Fenix 5 plus, Garmin Vivoactive 3, and Fitbit Ionic. But the battery life of smartwatches that have built-in GPS is short if you keep the GPS on all the time. The watches with built-in GPS and touchscreen are expensive and you need to pay more to get more features. Such trackers are used to tracking fitness and health data. It keeps a tab on your all-day activities. The main focus of such watches is on the health and fitness of a person. A traditional smartwatch keeps a tab on all day activities and also has some advanced features that lack in fitness trackers. It is capable of receiving smartphone notification such as caller ID, text messages, emails, and the best part of such traditional smartwatches is that you can receive calls, reply to messages, and even do the web browsing. The traditional watches have a connected GPS and you need to connect it to your phone to use the features. You don’t need to connect these watches to your phone as such watches operate on their own because of the built-in GPS. Standalone Smartwatches are expensive.